Free Online Tracking by IMEI: I was recommended the other day a free cell phone tracking site. I am showing the place for reference and explanation. Now I am definitely not promoting this site, but the reality is, the site has no tracking. I believe this is a site to gather private information on peoples cell phones for purposes other than just for your own safety. The Site: This site is http://www.trackimei.com. They advertise that they can locate the cell phone using IMEI. In reality, only the mobile provider or law enforcement can provide that information. There is an exception, I will explain later. All this service does is they give you back the information that you gave them online. There is no real tracking involved, no mapping, no actually locating. They "assist" you in locating your phone by giving you information you probably already have. Cell Phone Tracking: Tracking is not maintaining personal information on the phone. Tracking is physically locating a cell phone using either tower triangulation or the phone's own built-in GPS. As of now, there are no known free ways to track a cell phone on the internet. The Companies Offer Tracking: Some providers will track your phone for you if you have paid for the service. This can be useful if you have your phone stolen, or if you have children with cell phones. Some other more questionable reasons would be for cheating spouses, girlfriends, boyfriends, or whatever. Tracing vs Tracking: Cell phone tracing is simply logging incoming and outgoing call records. 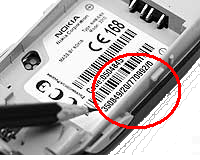 You could apply trace to mean the physical location the call came from, On cell phones, basic tracing simply involves giving the incoming number, and giving the name and address for that number. This technology has been around a long time. The exception as promised. The only way for you to track the cell phone yourself, is to have preloaded software into the cell phone. The only track-able phones with this software are smart phones which have GPS in them already. If the phone is so equipped, then you can use spybubble to track the phone. Can a non- smart phone be tracked? Yes they can, but I do not believe the average user has access to this. Because of the e-911 system that has been a standard now for years, police can triangulate on any cell phone using the cell towers that pick up the signal. This pinpoints phones very quickly in metropolitan areas. It can work in lower coverage areas, but the fewer the coverage towers, the less likely they are to triangulate. If you want to risk giving your private information to a stranger on the internet so (s)he can give it back to you later, be my guest. I would avoid it myself. Be Your Own Detective and be Safe! Goood article sharing about mobile phone tracking..